Free-to-play on iOS, Android and Windows Phone. 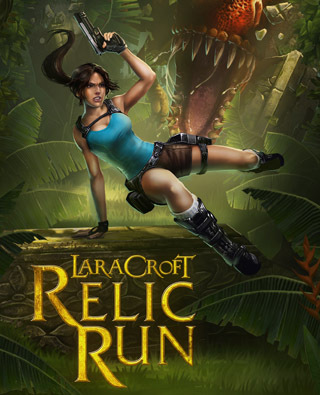 Much more than an adventure runner which offers a massive amount of diversity in play, allowing for seamless transitions between acrobatic-inspired running, combat, vehicles, and epic boss fights, including but not limited to the return of the infamous T-Rex. 3 incredible locations – Thailand, Sahara and Tibet - each filled with secrets and danger. Master fast-paced vehicles like motorcycles to give Lara more ways to conquer the terrain.